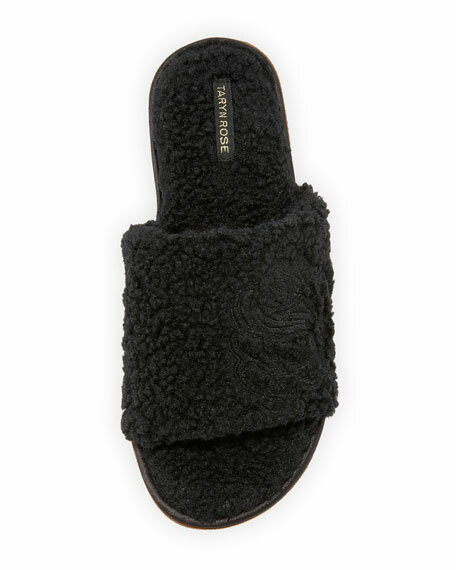 Taryn Rose faux-shearling (polyester) slippers with stamped rose feature. "Halie" is made in Italy. 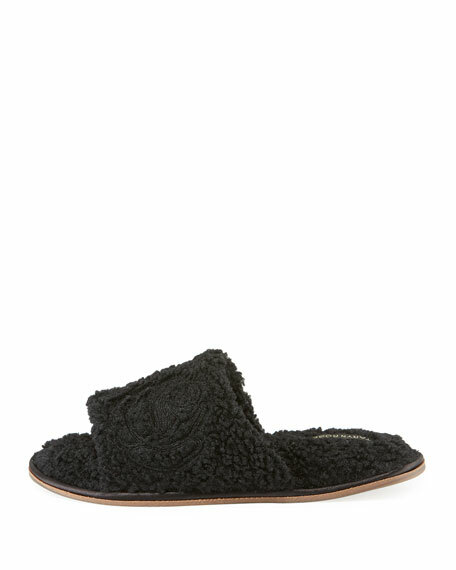 For in-store inquiries, use sku #2792199.